While it might seem like a very small part of your home's heating and air conditioning system, your thermostat actually plays a very important role in the overall function and comfort of your home. Your thermostat is responsible for reading the temperature inside your home and interfacing with your system in order to keep your home at the level of comfort you and your family desire, and if your old thermostat is having trouble doing this properly, it might be time to call in the thermostat installation pros here at The Best HVAC to help you update your system. There is a lot more that goes into a new thermostat installation than you might think, and as such, you want to be sure that you have the assistance of a professional HVAC company to help you do so. Is your home's old thermostat overdue for a replacement? If so, give our team of professionals a call today and let us help you find the right new option for your home. 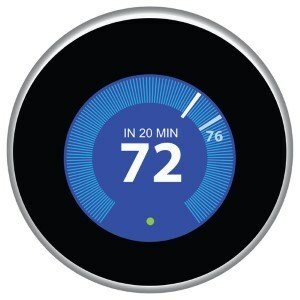 Here at The Best HVAC, our team of thermostat installation pros can help you find the perfect new thermostat to help you maximize the level of comfort inside your home for you and your family. Here at The Best HVAC, we are dedicated to helping each and every one of our valued customers maximize the comfort of their home for themselves and their family, and between our full line of air conditioning installation, HVAC tune ups, and thermostat installation services, we are able to do just. If you have any questions about our full line of high quality thermostat installation services, or if you would like to schedule an appointment for consultation with one of our specialists, give us a call today. Our team of experts are always standing by and would be more than happy to assist you in any way we can. When you are looking to upgrade the level of comfort in your home, investing in a brand new programmable thermostat can be a great way to do so while also helping you to save money on your monthly energy bills. Programmable thermostats allow you to set up your system to home's HVAC system to switch on and off at predetermined times of the day, allowing you to program your system to turn off during the day while you are at work, and come back on in time to get the home comfortable again before your arrival. By not running your system while you are out of the house, you won't be wasting money heating or cooling a home with no one in it, which can provide you with big savings at the end of the month when the bill comes due.